In Traditional Chinese Medicine spring is considered the first season of the year. It’s a time of new beginnings and rising energy. So this is a powerful season to reset your energy system, clear out old programs and break free from patterned behaviors. Our energy system can become scrambled due to stress, over thinking, negative thoughts, negative emotions, medications, emfs from telephones and even exposure to radiation on airplanes. 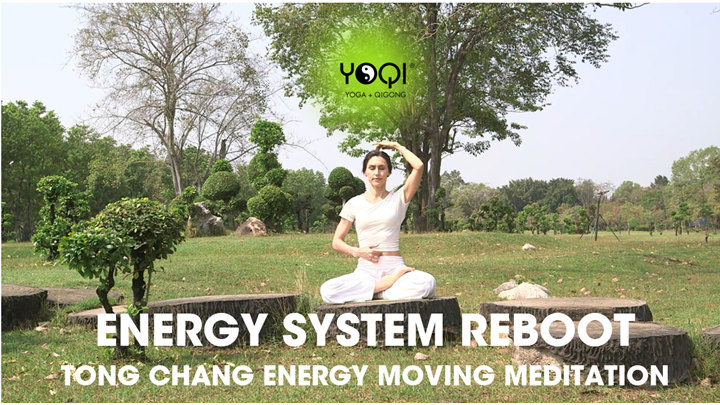 The Tong Chang Qigong practice is an energy moving meditation that interchanges dantian breathing pranayama, sound vibration and tapping on specific acupressure points. This formula is designed to reset your energy system and create a healthy connection between the upper dantian and the lower dantian. In Chinese, the word Tong Chang means "energy flow" or "energy and bodily fluids flow freely". This mantra is not only symbolic, it also contains the sounds "ng" which produces a humming vibration in the nostrils. Studies show that humming causes up to 15 times the normal production of nitric oxide gas in the sinuses and has many physical benefits including anti-inflammation, improved immune function, vasodilation, and smooth muscle relaxation. Enjoy the practice!